Les Loustics (or 'Tiny Friends' in English) are a happy band of four safari animals. 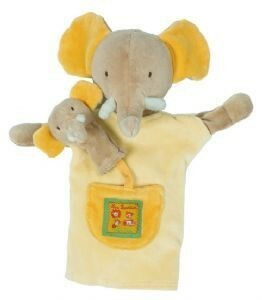 This is is an elephant in soft neutral shades of yellow, green and orange. Ideal for boys or girls. 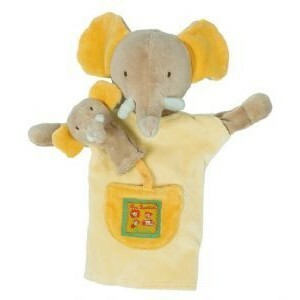 Hand puppet with mini finger puppet attached.